Historically, fleur de sel has been harvested from saltwater flats. As seawater evaporates, fleur de sel floats to the top in shallow marshes where it is skimmed off by hand. It forms only in certain specific weather conditions, which accounts for the fact that it is very expensive. Its name translates to flower of salt as it is considered the most delicate salt. Fleur de sel is harvested in coastal France, at the point where the Rhone runs into the Mediterranean Sea. The area where it is sourced lies mostly in Brittany, but not entirely. 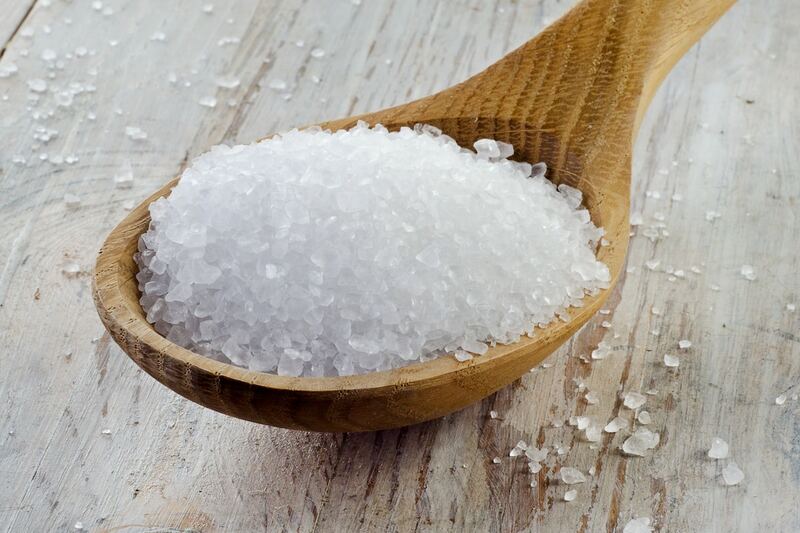 The primary method of acquiring sea salt may have first been practiced by the Egyptians, but may also have come from the Gauls. The knowledge was passed on to the ancient Romans; Pliny the Elder would mention it in his natural history book, referring to it as flos salis. The Romans used it as an ointment and a laxative, not for seasoning food. 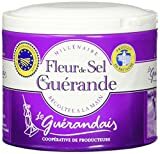 A few centuries later in 868 AD, fleur de sel the town Guerande was considered the capital of French sea salt production. At this point, the harvesting was mainly done by women as the work was deemed too delicate for men to perform. In 1500, the salt marshes covered more than 1500 acres, which is actually 20 percent smaller than their current size. Harvesting the salt was still done mainly by women up through to the 19th century, which is when a competing salt mine was built nearby. Today, Guerande is one of the few places where sea salt is still harvested by hand. 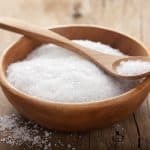 The flavor of fleur de sel is mainly salty, like any other salt; however, there are a few differences in the way that this type of salt delivers its flavor. Fleur de sel is particularly high in moisture and this causes the crystals to stick together. The fact that the crystals stick together keeps them from dissolving on your tongue as quickly as other types of salt. This results in the salt taste lingering on your tongue for longer. 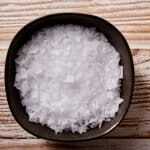 Along with the flavor, high-quality fleur de sel will have a strong oceanic flavor and aroma that helps it to enhance the flavors of the dishes on which it is used. Fleur de sel is marketed as being pure and unaltered; however, it is still mainly salt. Because there are no additives, its nutritional value is limited. While it does have certain trace minerals, they are not present in sufficient quantities to be nutritionally beneficial. Note that while small amounts of sodium are important for health, high levels can cause or exacerbate a variety of serious health conditions. Because it can be expensive, this premium salt is not something that you will use the way that you would use regular table salt. It works best as a condiment that is used at the table or as a garnish. You would sprinkle it over the food just before eating to get its full effect. 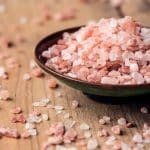 Fleur de sel can be used on savory foods like steaks and seafood, but its flavor may be just as beneficial when it is used to make candies. This salt is used to make salted caramels as well as certain types of chocolate.